KEVIN Abbring will substitute for Dani Sordo at Neste Rally Finland, Round 8 of the 2016 FIA World Rally Championship, allowing the Spaniard to recover from an injury sustained in testing last week. Sordo and co-driver Marc Martí were in a high-speed crash during their pre-event test on 8 July. Hospital checks revealed Sordo had sustained a fissure fracture of a vertebra. He was discharged from hospital the day after the crash and has been recuperating at home in Spain. 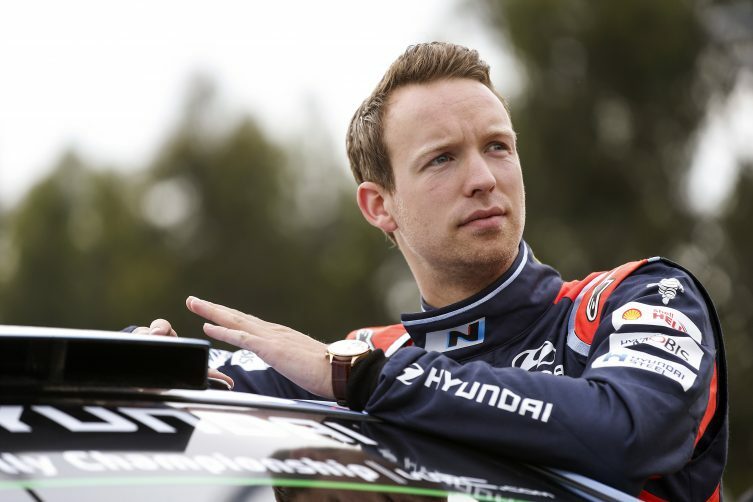 A Hyundai statement said regular test driver Abbring and co-driver Seb Marshall would take over the #20 New Generation i20 WRC in Finland, competing in their third event of the season for the Hyundai Mobis World Rally Team. Sordo will return to action at Rallye Deutschland next month. Hyundai Motorsport’s pre-event test for Finland has been rescheduled for 22-25 July, with Thierry Neuville, Hayden Paddon and Abbring all on driving duties. Team Principal Michel Nandan said: “Dani is recovering well from his injury and is making good progress. However, it is important that he recovers fully so we have made the mutual decision for him to miss Rally Finland. “This will allow him to be at his best for Rallye Deutschland in mid-August. Kevin will take over the #20 car for this event and will join our rescheduled PET (pre-event test) next week alongside Thierry and Hayden.